When it comes to dessert, who can resist caramel with a hint of salt? How about chewy, soft salted caramel with a rich coffee taste? Now imagine this delicious combination of flavors in the form of vegan blondies. Luckily, you don’t have to simply imagine. The dairy-free dessert experts from GoDairyFree made it a reality! 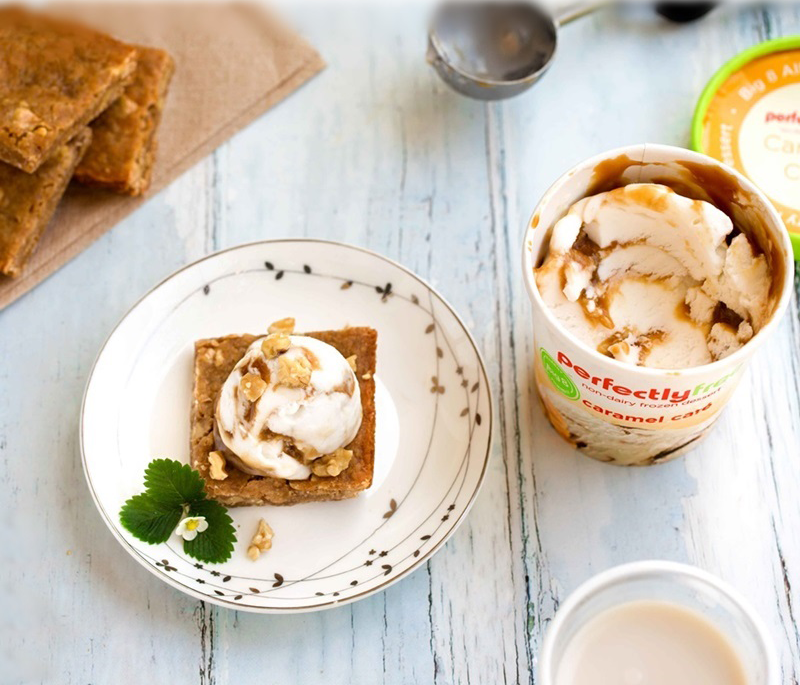 The Salted Caramel Cafe Vegan Blondies Recipe Served à la Mode with perfectlyfree® Caramel Cafe non-dairy ice cream is one you’ll certainly want to try. “By ingredients, this recipe is dairy-free / non-dairy, egg-free, optionally nut-free, peanut-free, soy-free, vegan, and vegetarian,” says GoDairyFree. 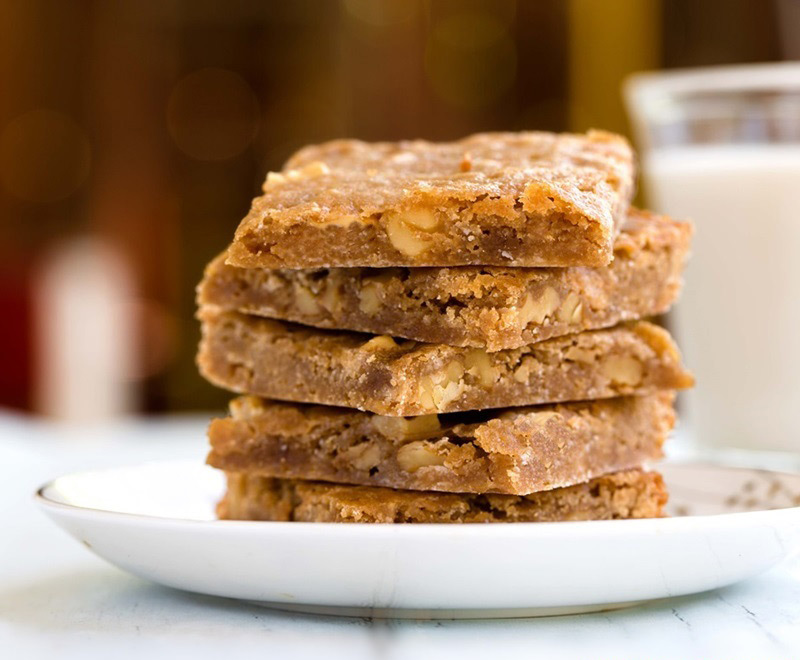 It is simple to alter the vegan blondies recipe to be big 8 allergy-friendly and gluten-free. Skipping the walnuts and swapping the flour is all you need! Our Caramel Cafe non-dairy ice cream really shines here. It’s made extra creamy with coconut cream, and offers the perfect plant-based ice cream option to enhance the richness, moisture, and flavor of the vegan blondies. We love the idea of topping off these delicious blondies with a hearty scoop!